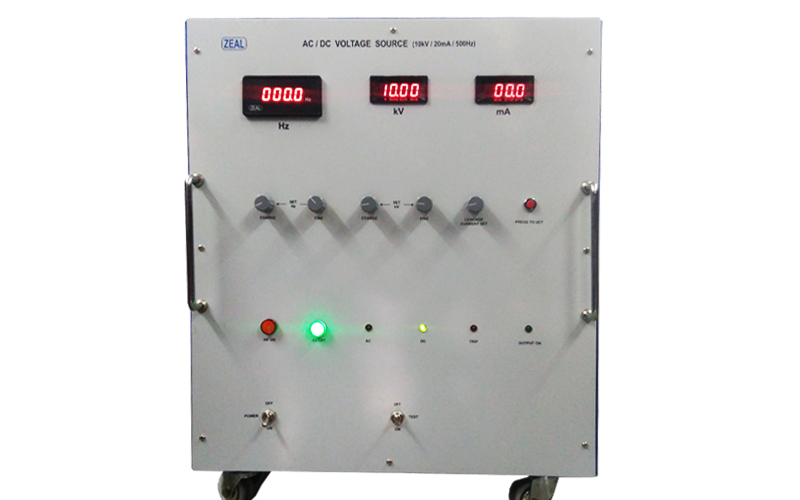 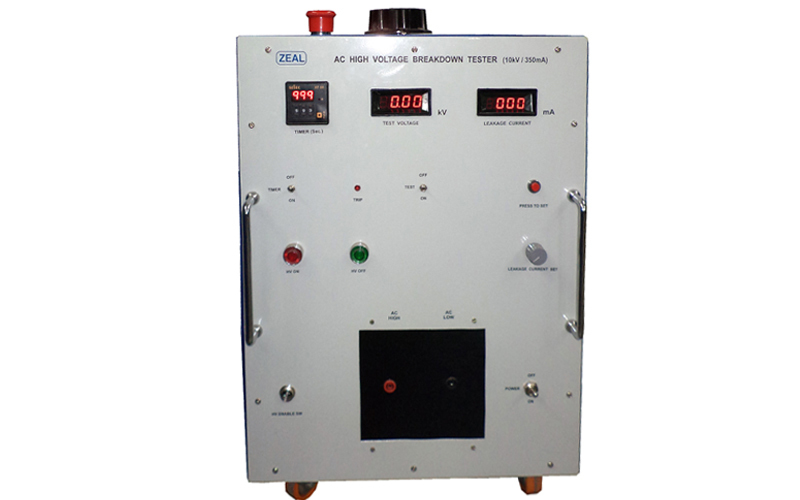 These products are known by other names like Hi Pot Testers, Voltage Withstand Capability Testers or simply High Voltage Testers also Designed with better features and accuracy, our offered range of Breakdown Tester is meant for testing the electrical insulation ability and electric strength. 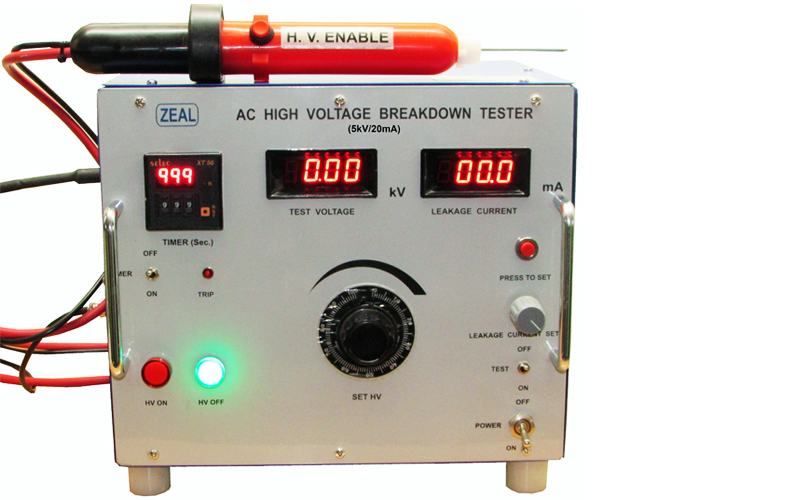 ZEAL make testers are ideal for performing high voltage breakdown tests in production, in the laboratory, and for type approvals also. 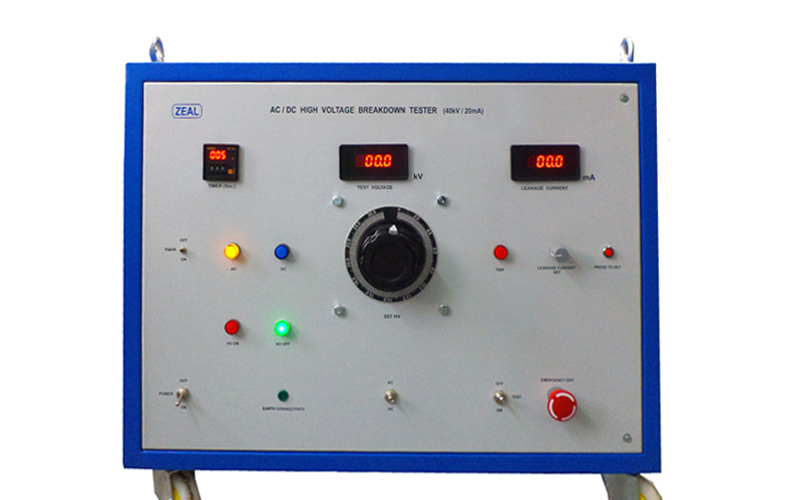 The tester of this category is robustly designed. 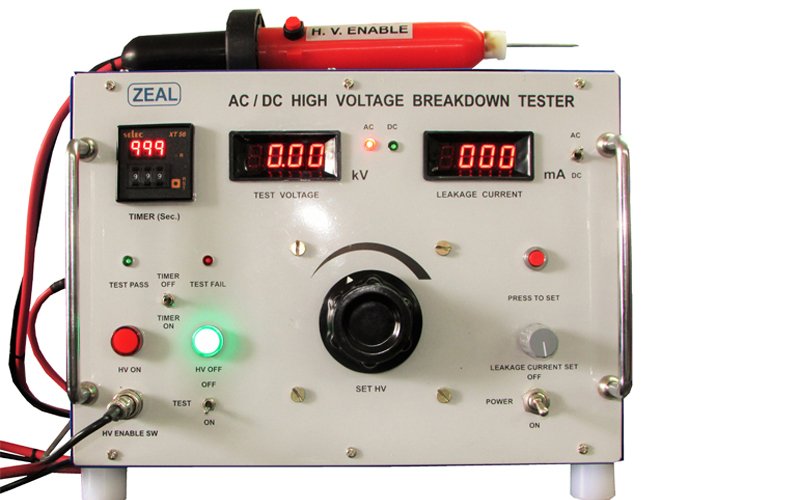 Standard accessories of the tester include HV test probe, fully insulated crocodile clip & mains cord.